Living with Voices: a human right! 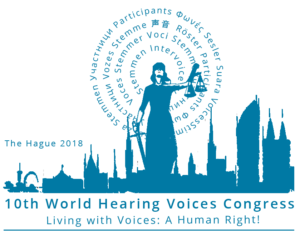 The 10th World Hearing Voices Congress takes place between 12th and 15th September at The Hague (Netherlands) and has the theme Human Rights. Hearing voices is a common human experience. A lot of people who hear voices have found a way to live with their voices. Other people have a lot of problems with the voices they hear. Voice hearers have a long history of stigmatisation, pathologisation, exclusion and violations of their human rights. The worldwide Hearing Voices Movement aims to help voicehearers find a way to live with their voices and to emancipate the hearing of voices. The organisers, Stichting Weerklank, invite everyone to come together at the 10th World Hearing Voices Congress to learn with and from each other about hearing voices, recovery, emancipation and human rights! The following information is from the organisers, Stichting Weerklank. Please contact them for more information. The congress website: 10thworldhearingvoicescongress.nl is now online. Lisa Forestell and Olga Runciman, members of the Intervoice Board, will lead this day. Marius Romme en Sandra Escher the founders of the Maastricht approach, are looking forward, meeting you again. The idea behind Intervoice Day is to exchange experiences, ideas, developments, dialogues and feelings. To feel that you are a member of a big family or tribe – our tribe! Countries can present their new developments and stimulate others to create new roads. Free for current members of Intervoice, the charity*. 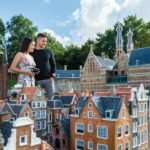 Sightseeing: From 15:00h, people who are interested can take a tour through historic The Hague and pay a visit to Madurodam, a miniature version of our Low Country. Each day will have the same format. We will start with three brief presentations from voice hearers about their personal stories. Then two consecutive keynote speakers will approach the human rights perspective. In the afternoon there will be a symposium in the main hall and workshops in the surrounding rooms. We will close each day plenary in the main hall. 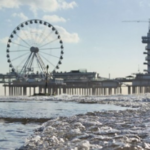 On Friday 14 September – World Hearing Voices Day – we will organise a BBQ and a party at the famous peer with a direct view at the sea! This day is mainly in Dutch, translated in English and the goal is to raise awareness for hearing voices and human rights for a general audience. Free entrance for the World Congress participants. For other interested is it €25,00. We want to ask people to contribute workshops and presentations in the afternoon of each day. The organisers will select and reply asap when your proposal is accepted. Lecture and discussion (15 + 10 minutes) at the afternoon symposium. To register, please send the following information to [email protected] and pay your fee by bank transfer. Do you have any dietary requirements (e.g. vegetarian, vegan, halal, lactose free)? You are not registered until you have paid! When you have paid and submitted your application you will get a confirmatory email and this printed email is your proof of participation. We have reserved rooms in a hotel that is walking distance from the Congress venue. 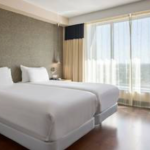 If you click on the link, you can make a reservation with reduced rates (before August 28) excluding City Tax. The NH Den Haag hotel is located on a few top floors of The Hague’s World Trade Center building. It offers fantastic views across the city and puts you in easy reach of both the government and business districts. The historic city center is just 5 minutes away by public transport.